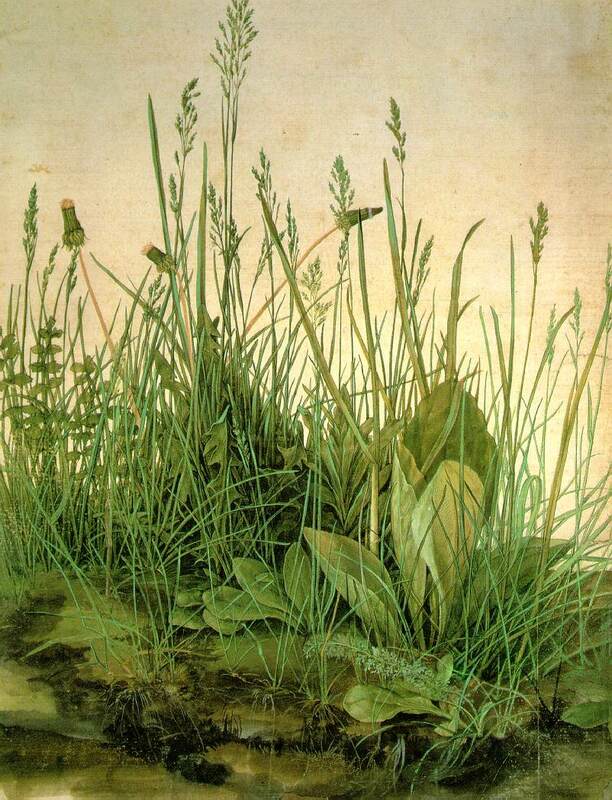 …The most famous of Dürer’s botanical pictures is Das Gross Rasenstück, which is, as its name indicates, a large piece of turf – a detailed study of meadow grasses and dandelions on a dull day, growing up out of the brown earth. The dandelion flowers are closed, the grasses not yet in full flower; every detail is true. This morning, it occurred to me to search for a new background for the start screen on my computer, replacing a soft-focus photo of towering trees and mist with – what else? – The Large Piece of Turf.